A Medford dentist had his license suspended and faces possible revocation after allegedly falsifying dental charts, scamming dental-insurance companies and obtaining marijuana from a patient, state records show. The Oregon Board of Dentistry ordered the indefinite emergency license suspension for Bongmin An, 43, calling him "a serious danger to public health and safety," according to the March 12 suspension order. "This happens very infrequently," said Patrick Braatz, the board's executive director. "I've been with the board nine years, and this is probably only the second or third emergency suspension." An has been licensed for dentistry in Oregon since January 2002 and practiced general dentistry at the Medford Dental Clinic on East Barnett Road in Medford, according to board of dentistry records. An investigation by the Oregon board revealed that, between August 2009 and this past January, An provided dental treatment for numerous patients but failed to maintain chart notes for any of his patients, according to the dentistry board. When chart notes were requested to validate insurance claims, An allegedly fabricated them to satisfy requests from dental-insurance companies, the board order states. The board also has information alleging that An altered dates of treatment of patients in claims sent to dental-insurance companies so the companies would pay benefits for patients who were not entitled to them. Board investigators also turned up allegations that An had obtained marijuana from a patient identified only as ML, but the board order did not specify when and how many times An allegedly received marijuana from the patient, the board order states. In the hit movie department George Hardy is two for two, which is not shabby for a general dentist living in Alabama. Yet the quality of the films is what sets them apart. Hardy’s first film, 1990’s “Troll 2” follows the Waits family as their vacation to a remote town named Nilbog is derailed when its citizens turn out to be hungry, vegetarian goblins. The shoot was plagued by its own horrors. Director Claudio Fragasso and his wife, screenwriter Rossella Drudi, were Italian filmmakers who spoke minimal English. Still, they required the lines be read by the film’s amateur actors word-for-word. After filming in 1989, Hardy married and set up his dental practice in Alabama, where life went back to normal. In the meantime, “Troll 2” became a cult classic, eventually earning the only zero percent score on the popular movie review site Rottentomatoes.com. Advances in the study of the effect of dental x-rays on oral mucosa cells have shown that radiation exposure can induce DNA damage and cytotoxicity in these cells, according to a literature review in Dentomaxillofacial Radiology. Daniel Ribeiro, DDS, PhD, of the Federal University of Sao Paulo in Brazil, conducted a literature search in PubMed, MEDLINE, Embase, and Google Scholar in all publications up to August 2011 using the search term "cytogenetic biomonitoring of oral mucosa cells and dental X-ray." 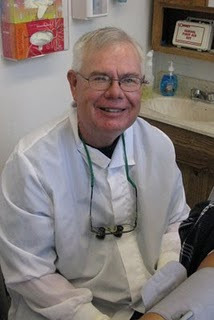 His search yielded more than 30 relevant studies, including several that focused specifically on oral mucosa cells in individuals exposed to dental x-rays (DR March 2012, Vol. 41:3, pp. 181-184). Oral bacteria that escape into the bloodstream are able to cause blood clots and trigger life-threatening endocarditis. Further research could lead to new drugs to tackle infective heart disease, say scientists presenting their work at the Society for General Microbiology's Spring Conference in Dublin.